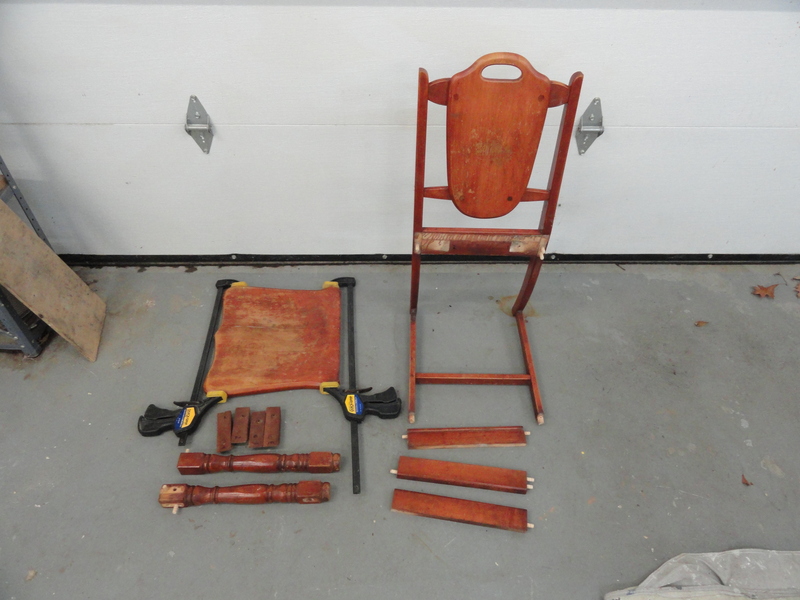 Chair that usually come in are badly worn on the finish, loose at the joints and sometimes split at the seams. This one was all of the above. Fortunately, this piece was old enough where the glue in the joints failed. I was able to knock apart all the pieces. The wood underneath is old (more than 100 years). It is probably mahogany or cherry. Good stuff. After I get them apart, next I do any repair and strip the finish. I use chemical strippers rarely. They are messy and a pain. In a lot of cases, I sand off the finish to the bare wood. 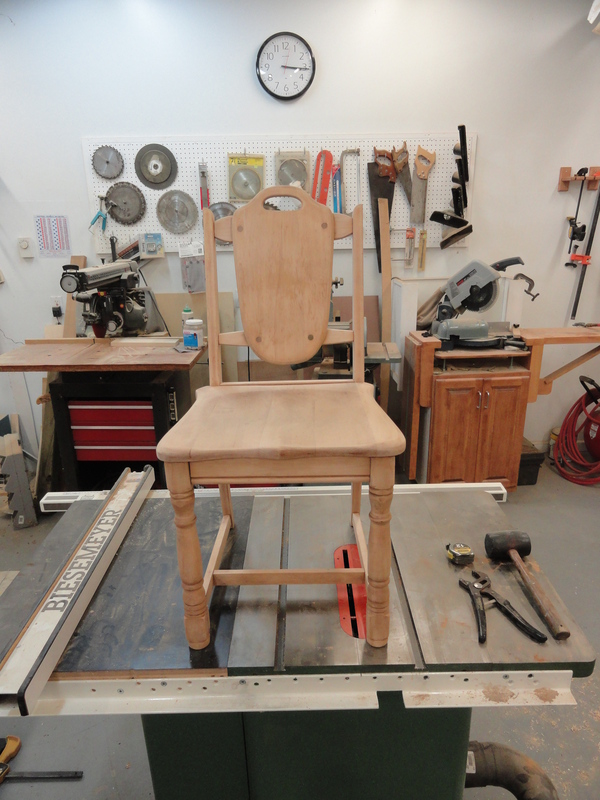 On spindles like the ones on the front of this chair, I chuck them up in the lathe and turn almost all surfaces. 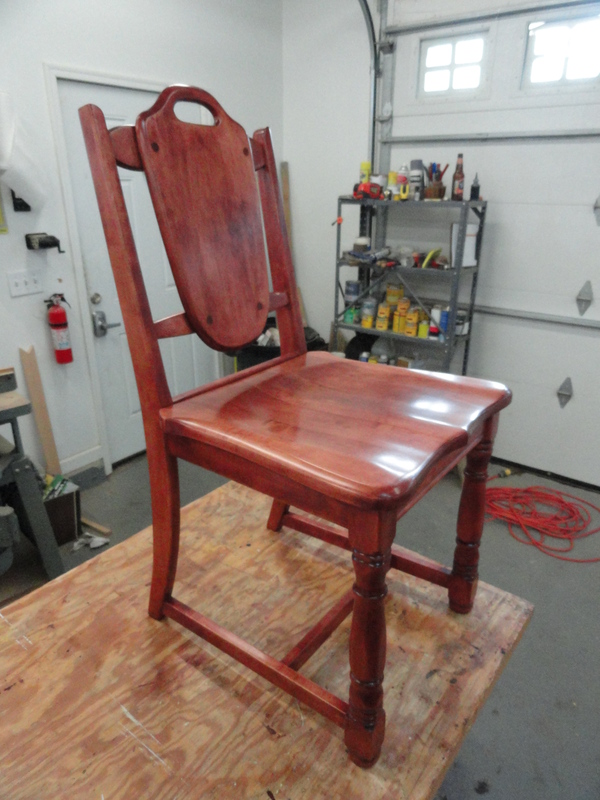 I let the owner select the stain color from several samples I put on the bottom of the chair. It took less than 10 days to complete this repair and refinish.